This question gets asked with some regularity on AcrobatUsers.com. In quite a few documents, I would like to extract pages that are non-sequential. Acrobat X Pro only allows me to extract sequential pages, so I have no quick way to grab just the five or six pages I want to extract without doing it one page at a time. This gets tedious, so is there a better way to do this or an add-on that would allow me to do so? Unfortunately the Extract command doesn’t allow you to grab non-sequential pages but there are a few different workarounds that you can use instead. 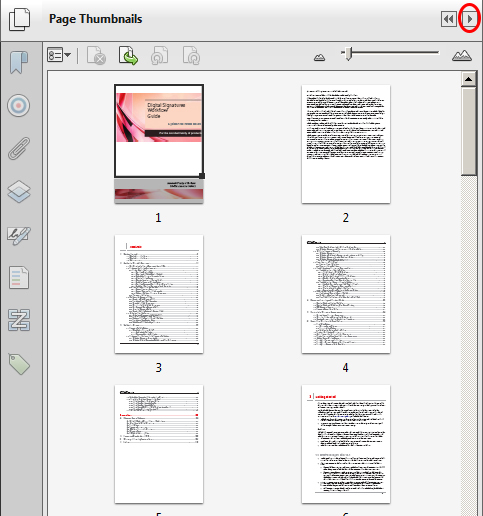 The newly redesigned Page Thumbnails navigation in Acrobat XI makes this task much easier as well. This first workaround is Windows only, but it’s a really quick way to create a new PDF of select pages. Simply open up the Page Thumbnails navigation pane and click on the right arrow at the top of the pane. This will expand the thumbnails so you can see many pages at once. Hold down the Ctrl key to select non-sequential pages and then simply drag them out of the Page Thumbnails pane and onto the Windows desktop. 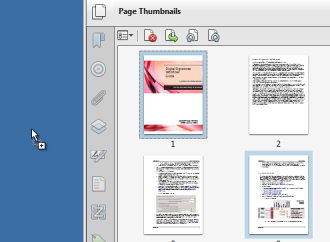 An arrow with a + sign will appear when you drag the pages out of Acrobat and click to release. The resulting file is called “Untitled Extract Pages”. Before beginning the second workaround, you’ll want to save a copy of your existing file first. Next, click on any page thumbnail and use the keyboard shortcut Crtl + A or Cmd + A on the Mac to select all the thumbnails. Deselect the pages you want to keep by holding down the Ctrl key on Windows and Cmd key on the Mac. Then, simply hit the Delete key. The dialog will prompt if you want to delete the pages and click OK. The resulting file now only contains the pages you wanted to keep. Now, one final technique you can use if know the exact page numbers you would like to extract, is to use the Combine Files dialog. First, add your file and then select List View. 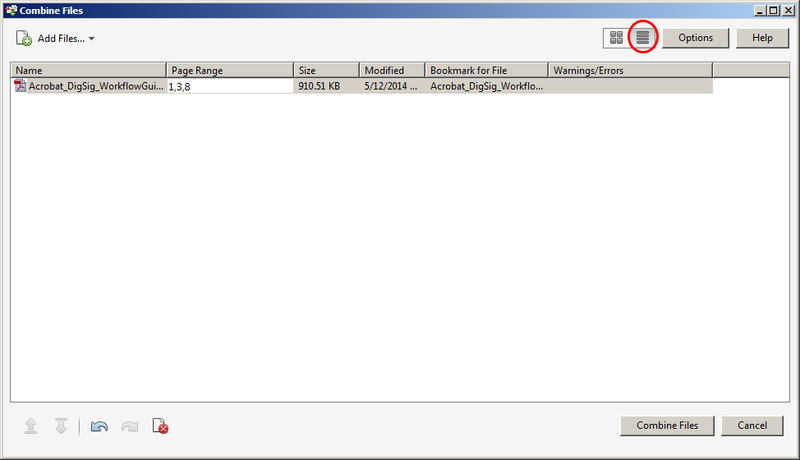 In the Page Range portion of the dialog, enter the page numbers and click Combine Files. If you do a lot of this type of work, one of the AUC Experts, Gilad D., has developed a script to automate the process called Acrobat – Print or Extract Selected Pages that you can purchase. To learn more about all the various ways you can manipulate pages in Acrobat check out my session on Reorganizing Pages in Learn Acrobat XI on Udemy.com.